Semadohis a village located in dense Melghat Tiger Reserve in Dharni Tahsil, Amravati District, Maharashtra.Near Semadoh on the banks of Sipna River is a Forest Jungle camp consisting of four Dormitories (60 Bed) and Ten cottages (20 bed). The cottages have been recently renovated and are in good condition. There is a museum next to cafeteria (mess). 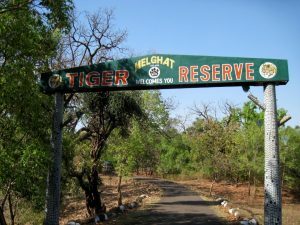 Most important is presence of wild life in the area like Tigers, Sloth bear, leopards and other jungle animals. Bookings can be done though Forest Department Amravati. Situated 13kms further from Semadoh towards Harisal on state highway no. 6 is the famous Kolkas Eco Tourism centre. It has 7 cottages (twin sharing), 2 nos. 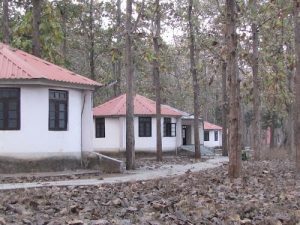 Forest Rest house rooms, 18 beds dormitory run by the Forest Department. 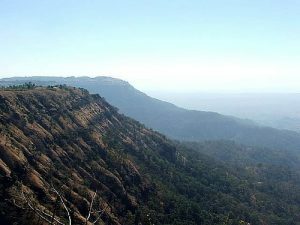 Vairat Jungle Safari- Along with many scenic points and Gavilgadh fort Chikhaldara has a jungle safari access on the Vairat plateau which is arguably one of the highest points in Central India for any jungle safari. Safaris can be booked online or on spot at the Nature Interpretation Centre based right in the heart of Chikhaldara town. Amravati to Paratwada (50 km.). Paratwada to Chikhaldara (32 km.). Nagpur to Amaravati (160 km). Amravati to Paratwada (50 km.). Paratwada to Semadoh (45 km.). Semadoh to Harisal (25 km).